Died: April 25, 1988 in Cataumet Ma. at 81 yrs. Where Lived: 3 Mystery Lane in Cataumet Ma. 1. Richard James Landers; (January 25, 1928 – March 28, 2003); Married Mildred Joseph (1933 – ? 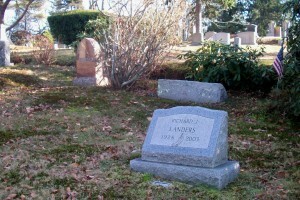 ); Richard is buried near his parents in Cataumet Cemetery. 2. 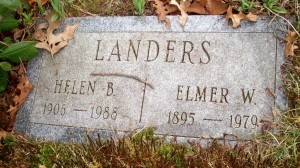 Alice Louise Landers Hathaway; (June 19, 1930 – ? ); Married Joseph R. Hathaway in Bourne Ma. on November 10, 1956. 3. 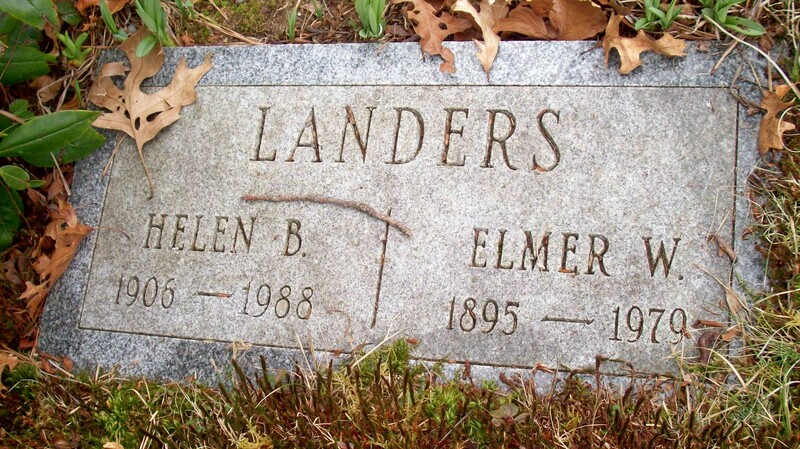 Jean Adelaide Landers Pederzani Tinsley Behringer; (August 4, 1935 – ? ); Married (1) Charles L. Pederzani in Bourne Ma. on August 15, 1959 & married (2) James F. Tinsley & married (3) (–) Behringer; Jean was a member of Bourne High School Class of 1953.